WIVH is a missionary radio station that was started by the same organization that created WRGN. WIVH serves the islands of St. Croix, St. Thomas, St. John, Tortola, and others with the same kind of gospel programming heard on WRGN. 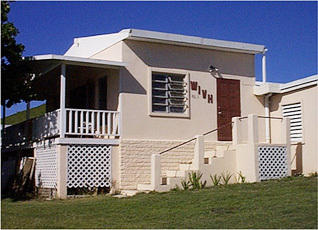 The studios of WIVH are located near Christiansted, St. Croix, and the 1400 watt signal can be heard on 89.9 FM. WIVH is supported by the contributions of listeners. Listeners to WRGN also support the missionary effort by contributing a significant part of the operating expenses. WIVH's theme verse is Isaiah 24:15, which reads "Therefore in the east give glory to the LORD; exalt the name of the LORD, the God of Israel, in the islands of the sea."